Haringey Council has been working with Transport for London (TfL) on its plans to improve the A10 High Road in Bruce Grove Town Centre. 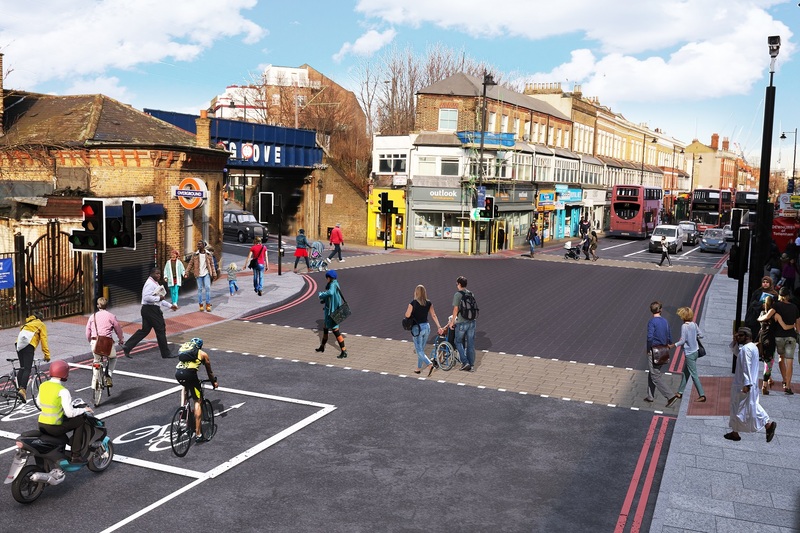 TfL have now started work on the A10 High Road between Bruce Grove and Forster Road to improve road safety, create more space for walking and a better town centre environment. This follows a period of public consultation on the plans from October to December 2016, the results of which can be viewed here (external link). TfL are also investigating where street trees could be planted to improve the town centre environment. TfL contractors Ringway Jacobs have appointed a point of contact for the local community during the time these works are taking place. If you have any enquiries or concerns about the works taking place, please contact David Kingston, Public Liaison Officer, on 07811 200919. For further information on this project, please visit the Transport for London website (external link). Visit tfl.gov.uk/trafficnews (external link) or follow @TfLTrafficNews (external link) on Twitter for live road travel updates.